Susie Harris: Shedding some light..
What better way to coax Maddy into reading! 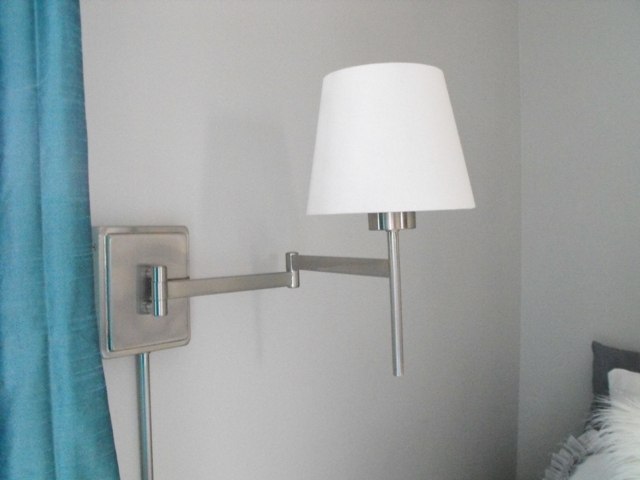 She spotted this swing-arm wall sconce at Home Depot. My first thought was "electric woes". I am no "Get er done" when it comes to electricity. You just plug that baby up! Oh the cute ways you could jazz these up! I think for now we will stick with the plain white. 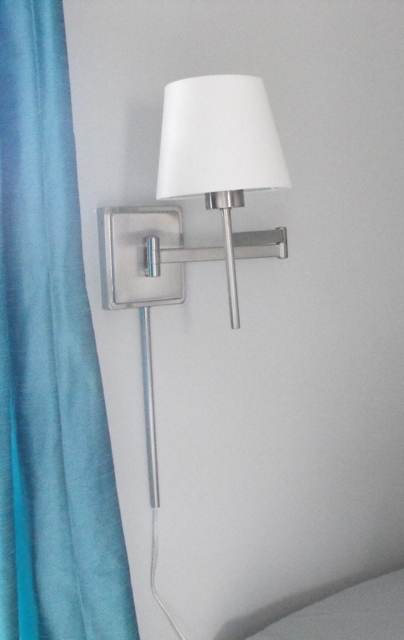 Is it me or are they making these swing arms so much nicer these days? So now Maddy has a new swing-arm lamp and a cute new book to read. She joined a book club at school and we are enjoying this book together. If you have any great tips on getting your kids to read, I'm all ears! Please share your ideas in the comments. Thank You! 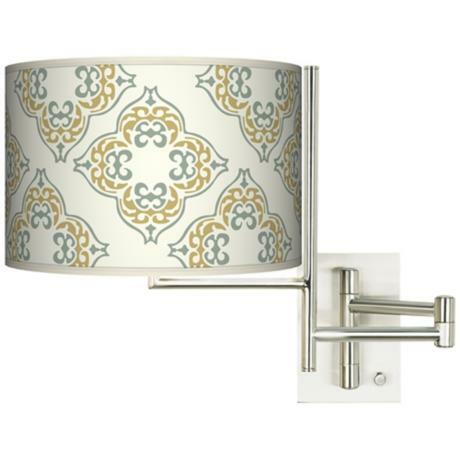 I recently got a similar wall light from Pottery Barn and love it. It makes reading in bed so much nicer! Love the light! Thanks for sharing! Looks perfect for reading in bed! 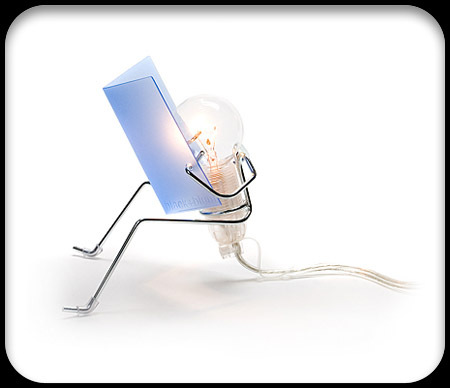 What a great lamp! 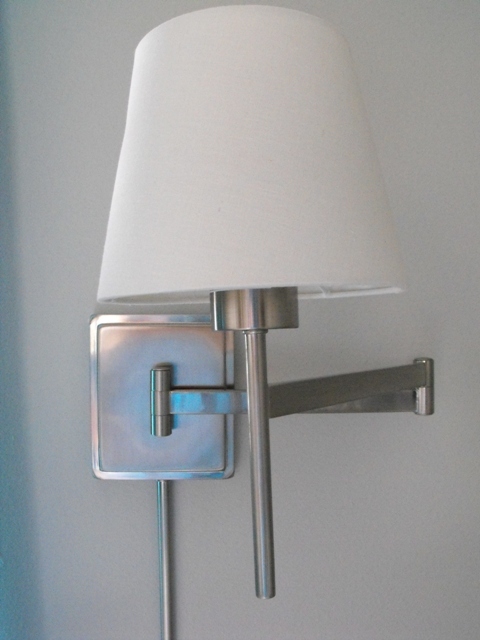 I have avoided sconces for the very same reason...no electrical skills not to mention the cost of an electrician. I hope she reads up a storm! 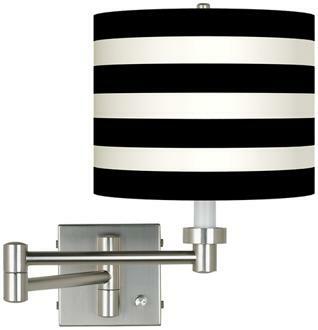 Love the light...I would so love one by my bed..
love it! And what a great price as well. 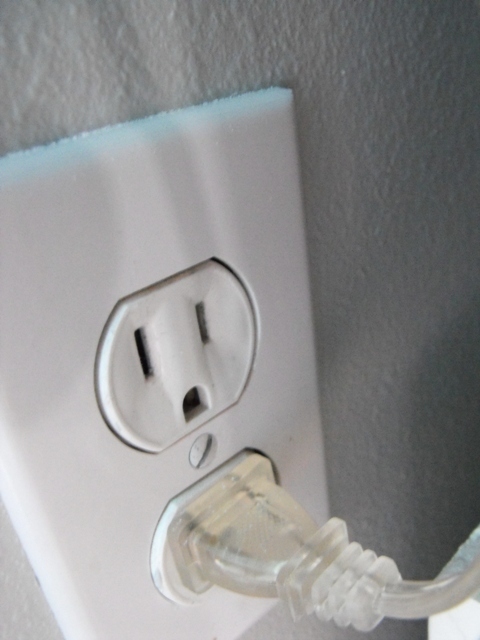 We have plug in ones in our bedroom & love them. Cant wait to see more pics of her room! 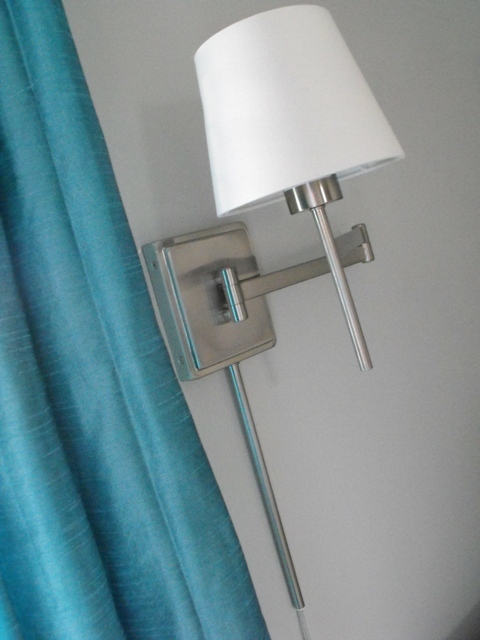 The swing lamp is a great idea - both our children have bedside lamps for reading! 1. Model your own love of reading. Regularly make time to read yourself and show your daughter how fun, relaxing and educational it can be. 2. Limit all electronic media - the average child spends something like 5 hours a day gaming, online and watching t.v. - by limiting it you make time for reading. 3. Make it a privilege. Talk it up! Make it a reward for good behavior - reading is the ultimate treat! Consider taking her reading time away when she's in the middle of a great story if you need to discipline her for disobedience - it sounds backward but it works with some kids! 4. Head to the library on a regular basis and get your sweet girl her own card if she doesn't have one already. Use your inter-library loan system to order great books online. Picking them up when they come in is almost as fun as getting a gift. If you've been avoiding the library because of a fine, pay it and get it over with - no shame! Most small town libraries carry over $100,000 in unpaid fines, so just bite the bullet and support your library. With online reminders and renewals you never have to have an over due book again. Keep all library books in a handy basket and don't let them meander through the house if you tend to loose them! 5. Avoid poorly written books - which may preclude about 80% of your library if you read carefully. Stick to the classics if you are unsure. Look for books that have received the Newberry Metal for starters - they are generally well written. Children need to be engaged in a novel to complete it, so it must be well written to be engaging. 6. Give rewards for written or oral 'book reports' - make it fun, not like another assignment, but an adventure. 7. Keep a list of all the books your daughter has read. Our 14 year old started this a couple of years ago and is averaging more than 400 high school level books per year. It's fun to keep a record and add a little incentive for page number goals! Ice cream for every 100 pages, or whatever appeals to her! 8. Reward reading time with gaming/computer/t.v. time. An extra 30 minutes of reading earns our kids 10 minutes of Wii. 9. 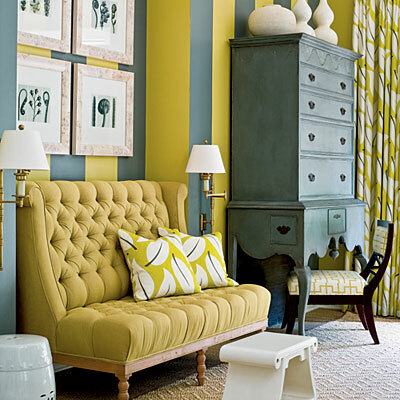 Make a cozy reading area - you've already done this by the sounds of it! 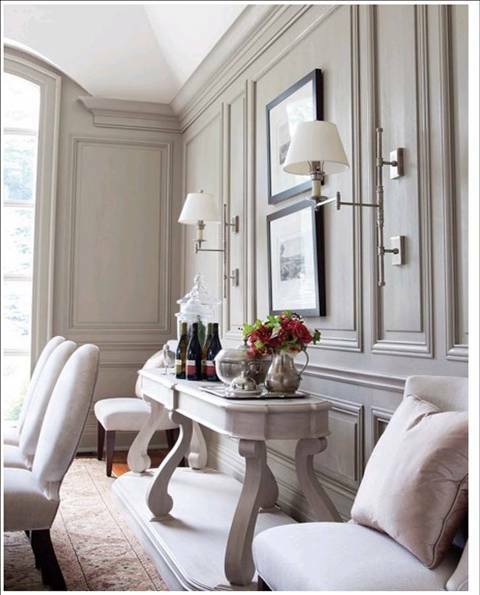 A comfy seat, good lighting and a bit of quiet are all that are required for a good read. Consider buying a few used paperbacks for bathtub books - if they get dampened in a bubble bath it's no biggie! It's such a fun grown-up thing to do! 10. Let her read about something she loves. Our son has read every single baseball book in our library system at least twice. Our daughter reads widely but her current passion is fantasy, though we have to be really careful since much of the fantasy written for teens is really dark or involves magic. Be on guard - so much of what is written for kids today does not line up with the moral standards that I know you profess. 11. Consider enrolling her in a summer reading class. It's costly, I know, but it is worth it if she is struggling. They will help her with her reading comprehension so that she can more fully engage in children's literature and thus enjoy it more fully. We do what we enjoy - if she is getting pleasure from reading she will do it more often. I hope this is helpful! I'm sure there is more I've forgotten, but this should get you started! I am amazed to get this information. thanks for posting..